Sam Schatten, prominent Atlanta rheumatologist, suffered a cardiac arrest on December 10, 2005. His life was saved by three Atlanta physicians, Drs. Alan Fixelle, Marshall Levine and Marvin Tark. The saving of his life through CPR has ignited a passion in him to insure that all Georgians have the chance at life if faced with the same horrible event. As a result, he has founded the CLEAR Coalition, whose mission is to promote CPR/AED training to teenagers and adults through our high schools, churches, synagogues, businesses and local health fairs as well as to encourage widespread AED program implementation (purchase of AEDs) throughout Georgia. A powerful, volunteer-driven organization, MUST addresses the basic needs of individuals, families and children with facilities in both Cobb and Cherokee counties and programs in numerous other counties. MUST brings people of many faiths together to respond to God's challenge to minister to others with compassion and love, without judgment of the beliefs, background or circumstances of those who serve or are being served. 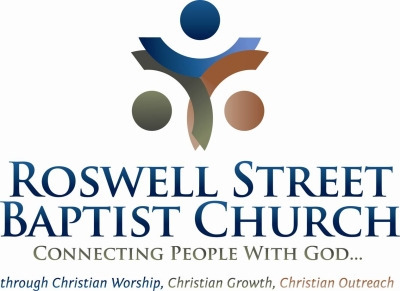 A loving ministry of caring people who offer help in a time of crisis, the Pregnancy Center is a ministry of Roswell Street Baptist Church committed to sharing the love and truth of Christ while assisting women during an unexpected pregnancy. There are three basic responses a woman facing an unplanned pregnancy can make: abortion, adoption or parenting. Through confidential conversation and education based on Biblical principles, we encourage women to consider alternatives to abortion while offering loving support and practical assistance. Feed My Lambs' mission is to partner with local businesses, communities and area churches to open Christian schools in economically impoverished areas, to help empower at-risk children spiritually, academically, physically and socially, and to improve families and communities. Feed My Lambs schools educate children and their families about a better way of life. It operates schools of excellence and is funded solely by financial and in-kind donations from individuals, businesses, foundations, churches and communities. More simply, Feed My Lambs is about children, education and love, and has been since Founder Elizabeth Weatherby first conceived it.